The final content update brings with it some skins themed around Gearbox's other franchise, Borderlands. 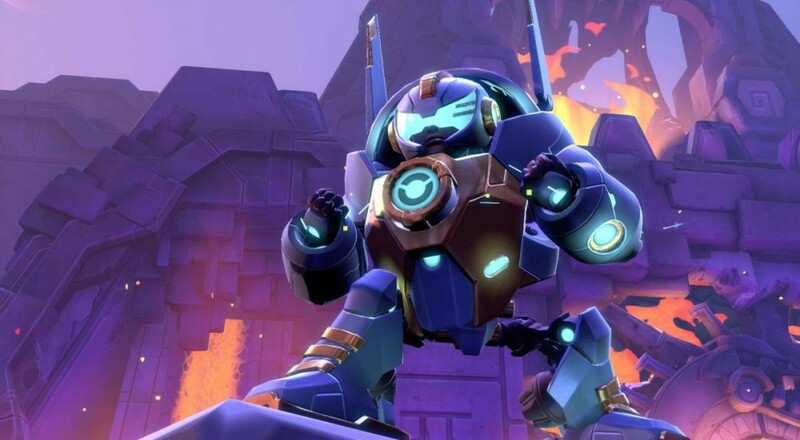 Specifically, you can acquire skins to make Alani look like Maya, Caldarius gets a Maliwan makeover, El Dragón goes Psycho, ISIC turns into that loveable Claptrap, Orendi dresses up like Tiny Tina, and Rath is Zer0. There are also a number of color skins, taunts, and "finisher boosts" added. So long, Battleborn, maybe there will be some good lessons learned from this whole thing. Page created in 0.3810 seconds.